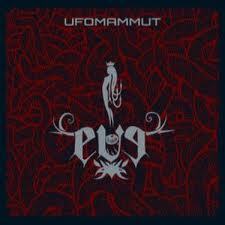 Ok, I am now just getting the message that countless others before me have realized: Ufomammut is awesome! Their style of doom is a great rendition of the genre. Slow and menacing, heavy but minimal, with long songs (well, song) and few words, Eve is a powerhouse of an album. Eve is the only album I have heard by Ufomammut so far, so while their Wikipedia page has them listed as 'experimental,' I only know them as doom, and perhaps a bit sludge, but only in the rare section. Eve is a massive tale; one almost 45-minute song, split (on some versions) into six sections/tracks, with each part bringing it's own little flourishes to the song. Because of the complexities in reviewing an album of this caliber (it is almost impossible to tell where one section ends and another begins), I cannot really give a decent - or long - review. Just know that Eve is an excellent display of new doom, with a splash of stoner, sludge, and psychedelia thrown in for flavor. There is supposedly a message in there somewhere, and I missed it, but it really doesn't matter. The music carries on where the lyrics fall short. I really want to hear more from Ufomammut, and because I have all of their discography (five more albums), I can have that chance. ...but not until the new year.